What can you do with canvas? The real question is: what can’t you do with canvas? Canvas as an art medium is growing in popularity all the time, and there are countless canvas art ideas floating around the Internet. 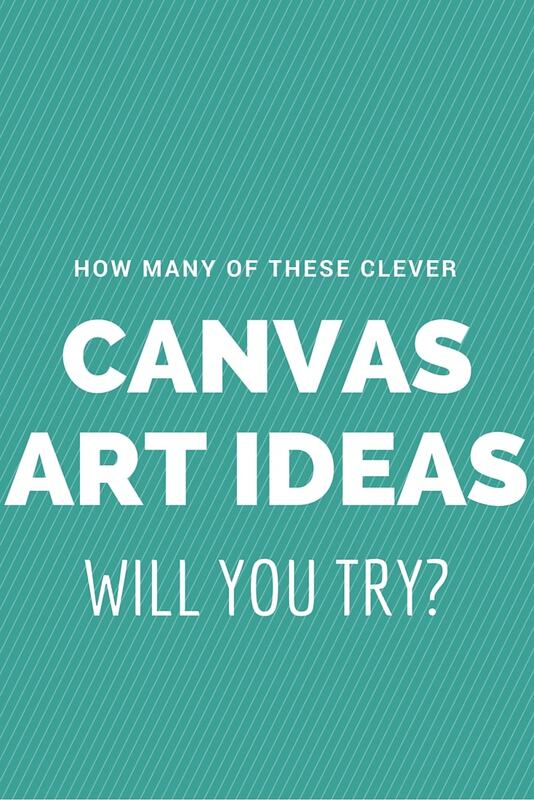 We’ve scooped up the best of the best, and present here our favourite canvas art ideas for your inspiration. Embrace the canvas revolution and say goodbye to your drab, lifeless walls! Did you know that if you affix a perfectly-sized piece of sheet metal to the back of your canvas, your canvas is now magnetic? Just think of the possibilities! 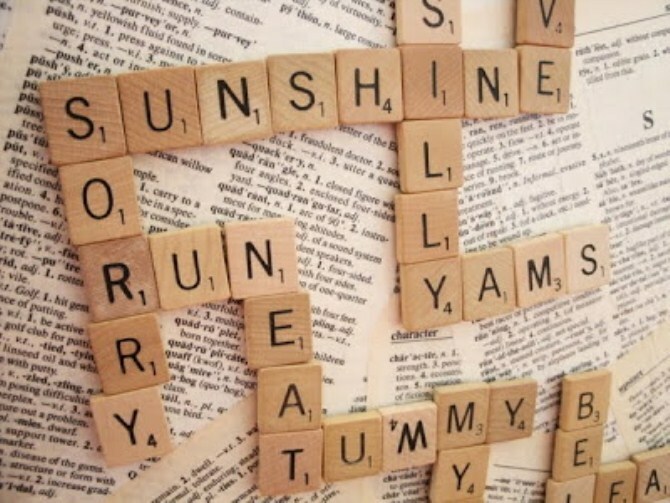 In this clever DIY project, secondhand Scrabble tiles have been magnetised by gluing small magnets to their backs, creating a DIY Scrabble board for an ongoing, casual game between roommates, or a cute message board. Is there something on one of your wall you’d love to cover-up, but that you need to access sometimes? Perhaps an alarm panel, an unused intercom, a security system panel, or even a hole or other blemish on your wall you’d love to cover-up until you can get it fixed properly. In this case, create a canvas print from your favourite photo and attach it to the wall from one of the vertical sides with flat hinges. You’ve now got a clever way to cover up a portion of your wall, while easily revealing it by swinging the canvas into the open position. As if a photo collage wasn’t enough, a silhouette photo collage adds that little something extra to make the final product truly spectacular. The perfect way to display photos that are linked by a specific event or thing – such as the birth of a new baby, a birthday celebration, wedding, or the celebration of a pet – a silhouette photo collage is the perfect, ready-made wall art solution. All you need to do is choose the photos that you’d like to feature, and we’ll deliver a perfectly presented piece of wall art, framed and ready to hang. 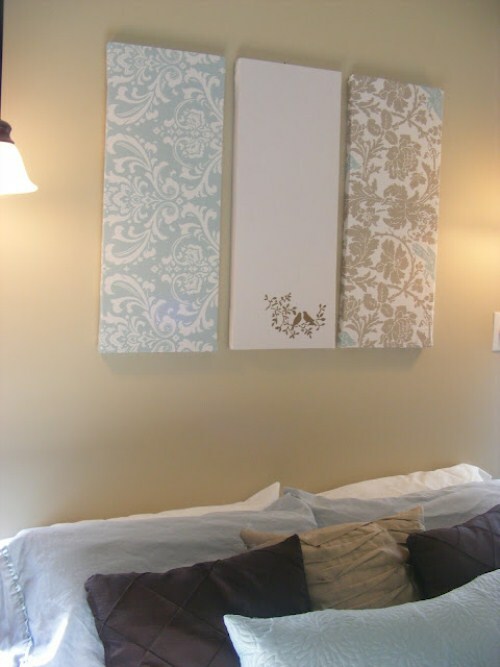 This would have to be one of the simplest ideas for canvas art that we’ve seen, and it’s so effective too. All you need to do is find or purchase fabric that you like, wrap it around some ready-made stretched canvas, staple it at the back, and you’ve got wall art ready to hang. If you’re feeling creative you could find several types of fabric at your local haberdashery store that work well together, like in the example shown here, or you could simply choose one fabric you adore and make a feature out of it. Have you ever seen a canvas print that doubles as a light source? This one is such a simple DIY idea that we wish we’d thought of it ourselves. All you need is ready-made stretched canvas and a string of fairy lights. 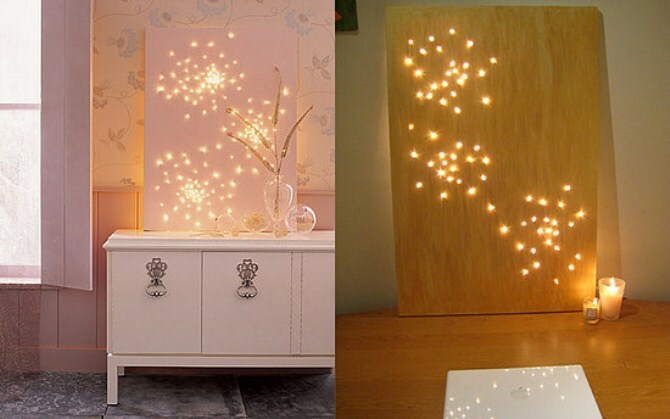 Simply poke tiny holes through the back of the canvas and insert the tip of a fairy light into each hole. You can layout the fairy lights as you wish – perhaps even daring to spell out a word or create a pattern. 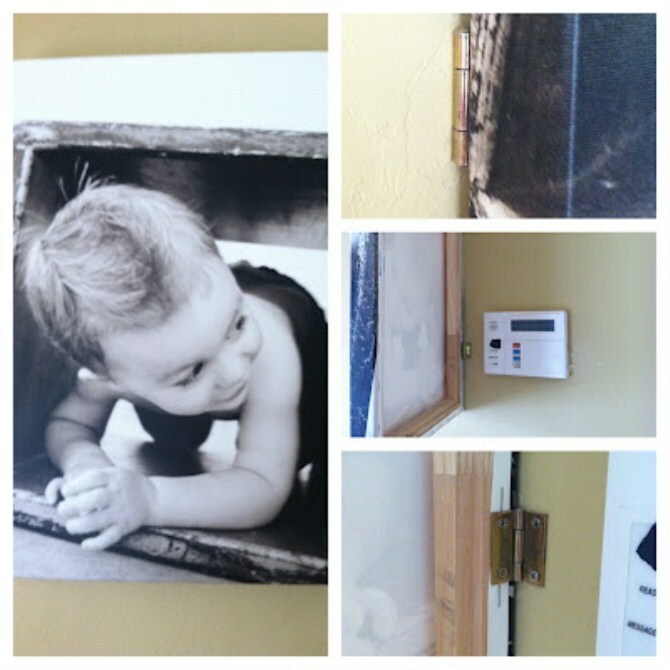 The beauty is that the wall outlet or battery box can be perfectly hidden behind the canvas print itself. 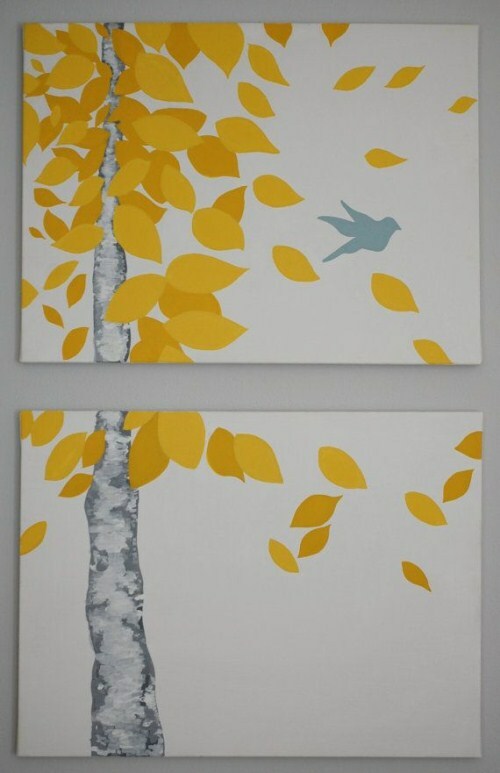 A fantastically simple art project, all you need is some ready-made stretched canvas, masking tape and paint, and you’re ready to let your imagination take over. This is an excellent project to work on with the kids: you may be surprised at just how creative they can be when let loose with paints, masking tape, and their imagination. Another brilliant art project to let the kids help with, this one involves painting sheets of paper in various colours and then cutting out uniform circles using a large circle hole punch. You can then simply glue the circles into a uniform pattern on a ready-made stretched canvas and your art project is complete. Who would have thought something so simple could look so effective? So far we’ve showcased several different arty ideas to integrate canvas into your home, yet we have neglected to mention the most obvious thing to do with stretched canvas: paint on it! 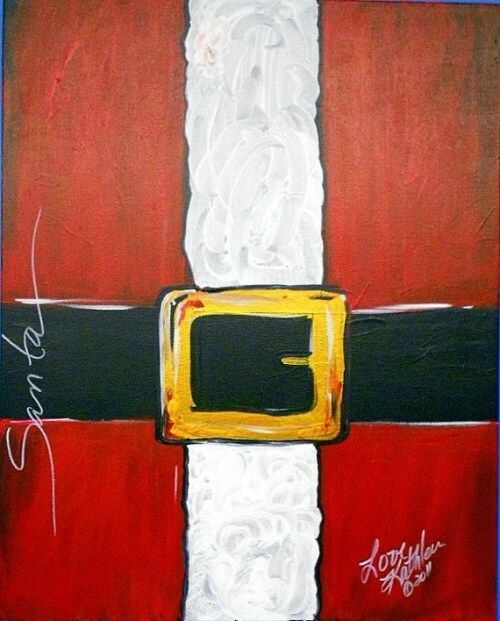 You may think you’re not much of an artist, but anyone could create this simple and clever Santa painting. When you look at it closely you’ll realise that the whole thing is made up of rectangles, and you’ll only need some red, white, black, and yellow paint to finish the job. If you fancy yourself a bit of an artist, consider creating one larger piece of artwork over two or more smaller canvases. Instead of using one larger rectangle to paint your masterpiece, use two smaller ones, position them as required (but make sure to leave a sizeable gap to perfect the look) and turn two smaller canvases into one artistic wall feature. 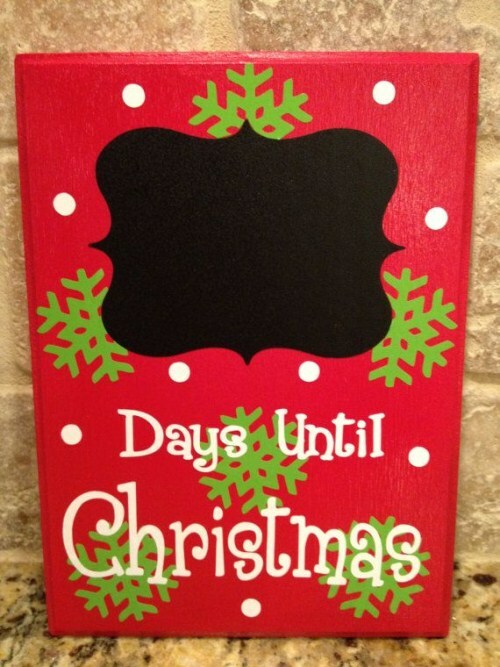 Creating a Christmas countdown canvas is deceptively simple, and for bonus points paint the black area with chalkboard paint so that the daily countdown can be updated with chalk each day. The same idea could be used to count down to anything – a child’s birthday, and upcoming wedding or a family holiday. Creating a countdown canvas would also be an excellent way of making a big announcement – how about “X Days until Baby Is Due”? Stretched canvas is so versatile that it can be used in countless ways to create wall art to suit any decor and any colour scheme. Our most important tip for working with canvas is to use a combination of DIY canvas art and professionally printed canvas displays. 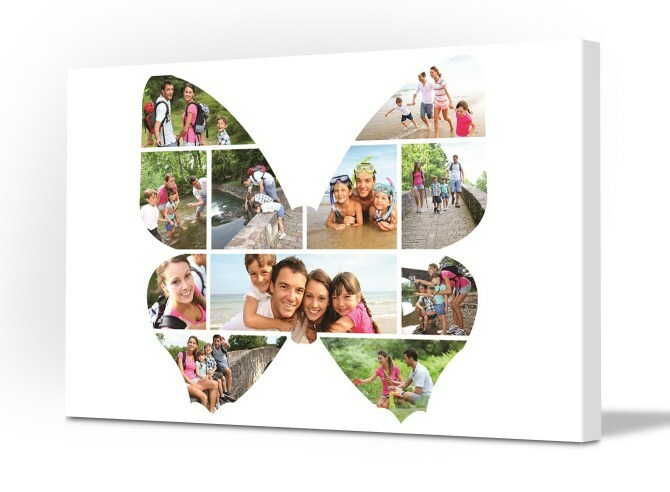 Just think how effective it would look to have creative, colourful canvas artwork pieces displayed with professionally printed family photos on a feature wall.